With Valentine’s Day fast approaching and love in the air, it has made me think of all the ways to spend time with a significant other without causing too much stress. 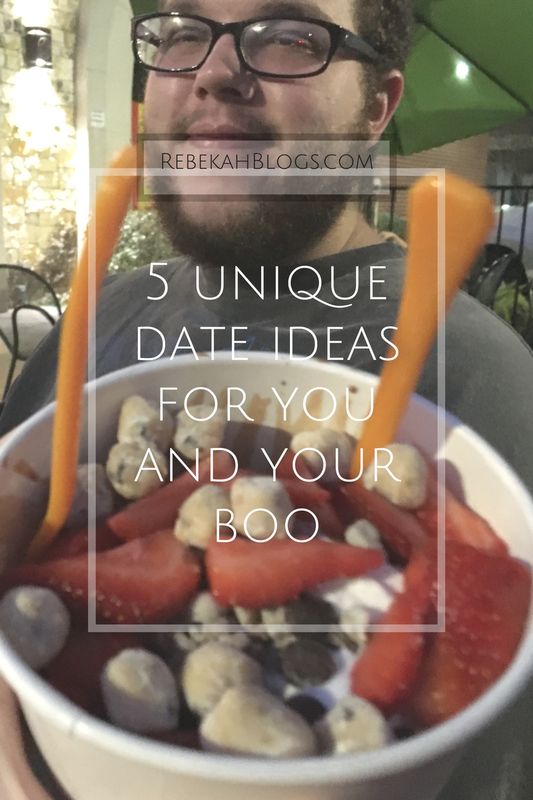 There are so many date options other than going out to eat or going to the movie theater. I wanted to put together a list of things to do or places to go with your S.O. that won’t break the bank and give a uniqueness to the date. Go to a drive-in or a lawn screening of a movie. This gives you and your S.O. a chance to talk during the movie a little. This also keeps the date moving- instead of sitting in a dark room you’re cozied up on a blanket or in the bed of his truck watching the movie. Try somewhere new when you go out. Quit going to the Chilli’s or Chick-fil-a find a local spot to try or find a new chain. You could even drive a few hours and go to In-and-out. Here are a few local Houston places you could try. Wash your cars together. It may sound lame, but it is oh so fun! You get to have water fights and get your cars nice and sparkly. It is fun to just be silly together and this activity is the perfect way to do it. Take a drive. Just be together. Crank the music up, roll the windows down and just be. Sometimes the best moments are just being together- no talking, no fussing, just being in each others company. Conversations arise and it gets deep, but just sitting in the car with limited distractions is how those conversations start. Go around and to different stores. Whether it be chain stores or antique shops go and just have fun. Go browse Five Bellow, or look at all the different tents at Gander Mountain or try and find creepy doll heads like Chip and Jo while antiquing. The options are limitless. Doing the same old same old gets old, especially after three years. Some days you have to change it up and other days going to Chick-fil-a is enough.